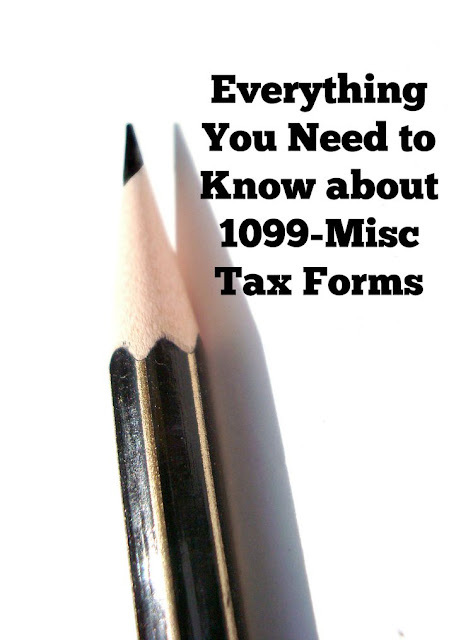 What exactly is a 1099, you may ask? It is essentially the same as a W-2, only it's for self-employed people. A self-employed person who gets over $600 from any one client or company will get basically the same information on a different kind of form -- the 1099 or 1099-misc. You'll also be anxiously awaiting this document (like your friends) so that you can file your taxes. While there may be unique issues to getting this info (which we'll address later), it's essentially a W-2 for independent contractors -- that's you! Expect to see income earned, the name of the company hiring you, their tax number, and anything held for taxes. How Will I Get One? Anytime you start work with a new company, you'll probably be asked to fill out a W9. 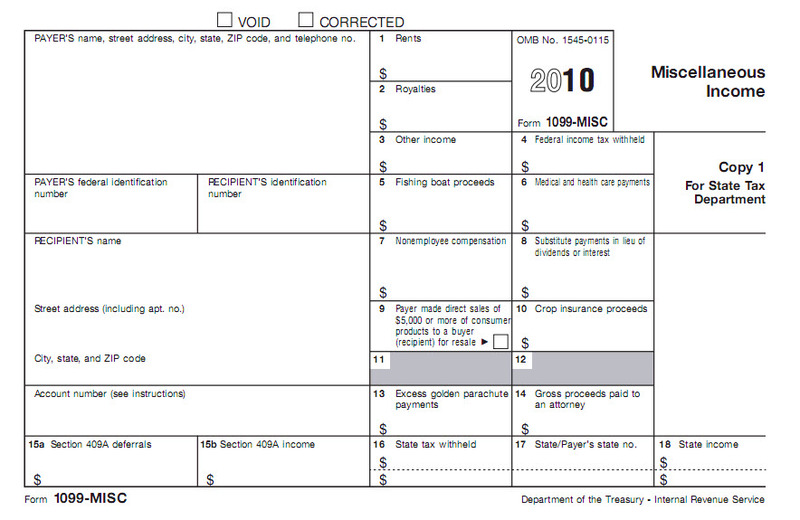 This form asks for your name, address, social security number, and other info needed to issue you a 1099-misc later in the year. If you're not comfortable giving out your social security number, consider applying for an EIN (Employer Identification Number) instead. It will serve the same purpose. After you've filled out your first W9, scan and save it to your computer for easy access later. You can then send this copy to any new client you work with, eliminating the need to do it over and over. 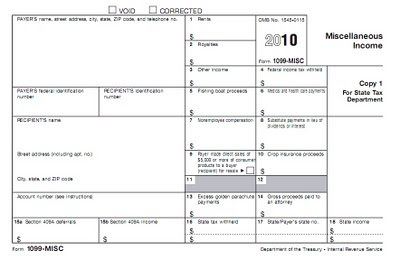 IRS states that it should be mailed by the last day of January each year for the previous year's info. But this can vary due to mail delays. If you don't see something by the end of the first week of February, go ahead and inquire with your hiring company about the status. If you don't see it by the end of February, or you are having issues getting it, you may need to self-report the income. Remember, if you earned less than $600 with a company, you won't likely get one and will need to self-report that income as "other income" or cash. Even if you think you should have gotten one, you can go ahead and report it to the IRS without a form. The IRS just wants to be certain that the info reported by the companies matches what you report. So, if they send info to the IRS, you'll need your 1099 info. If not, just make sure the amount is included somewhere. Also, be sure your income is not being reported on a 1099-K, which is common for freelancers being paid by Paypal. More on that form can be found here. What if the Info on it Is Wrong? This happens. See if they can change it to reflect the correct info. If there is a dispute about the amount reported, you'll have to see if you can get that resolved. What If I Never Receive It and the Company is Unresponsive? Do your best to report income, anyway. You should be keeping good records of income earned and taxes withheld, if any. If in doubt, see a tax professional. For now, just relax in the fact that 1099 = self-employed. If you're a Mom looking to work for yourself in a small business, it's a sign that you're on your way to being your own boss. Congrats! *Note: We are not tax professionals, just small business owners trying to help others. Please do not consider this to be personalized, professional tax advice. Seek a professional for any specific tax questions.